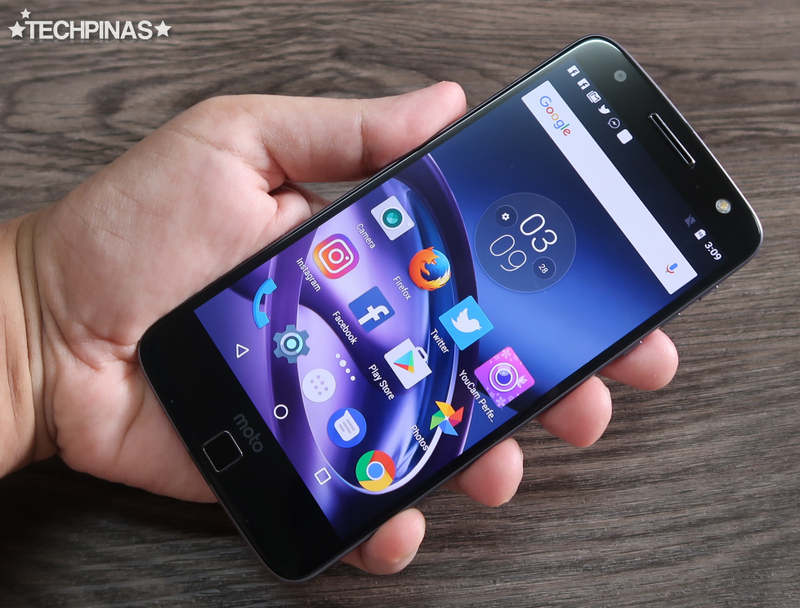 Several months after its launch in the Philippines, the Moto Z flagship smartphone remains to be the one of the most gorgeous and most innovative handsets that you can get in the market currently. I highly recommend this model to those who are now looking for a top-of-the-line daily driver and are interested in trying out an off-beat yet stellar offering by another brand, apart from the usual suspects. 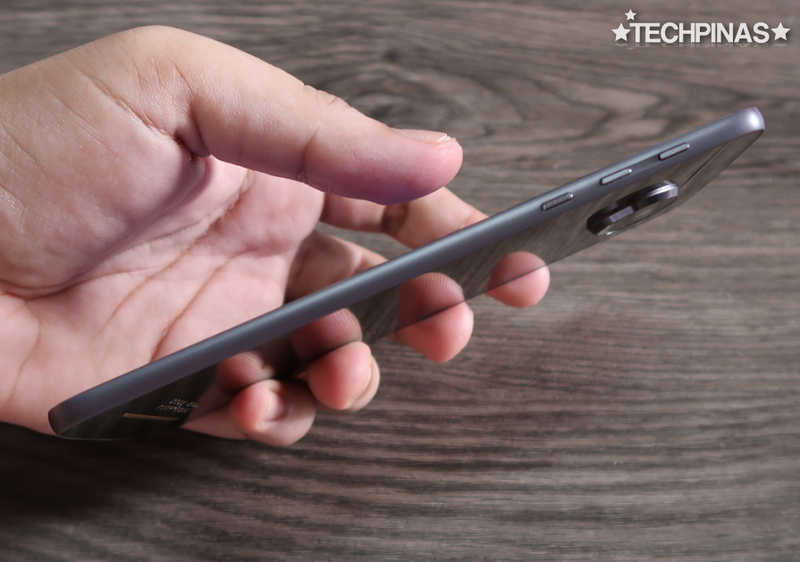 With a real metal mid-frame that's only 5.2 millimeters thin, Moto Z is one of the slimmest mobile devices ever released. And yet, this model packs a heavyweight punch in its ultra-sleek shell. The Power button as well as the Volume Up and Down toggles are located on the right panel. 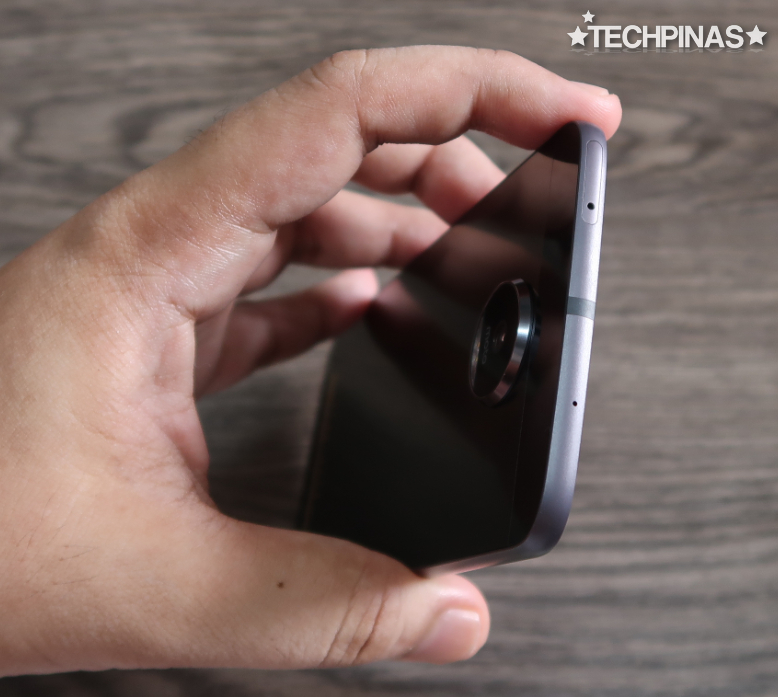 Before I give you details about Moto Z's technical specifications, allow me to talk about its design and construction more. What I particularly like about this model is that despite being very slim, it feels very solid in the hand. 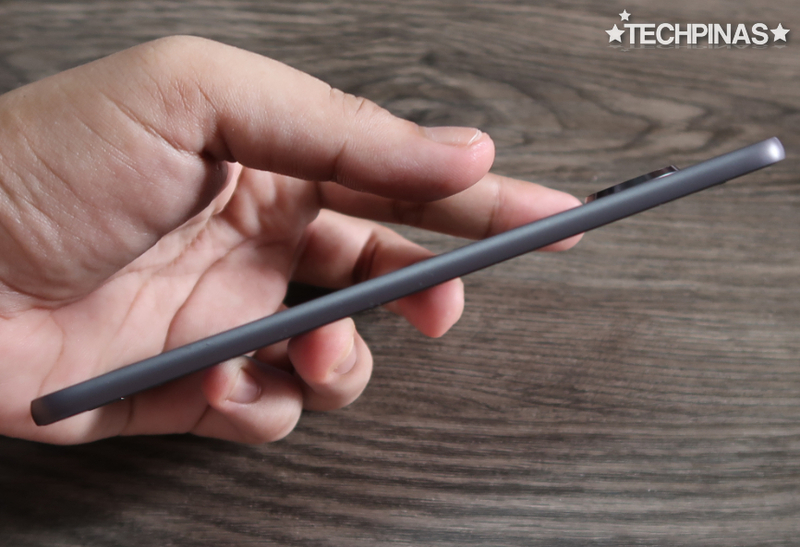 The metal elements feel sturdy and well-made while everything that's within it, including the curved Gorilla Glass 4 panel, are neatly packed in such a way that the device won't have any flex. 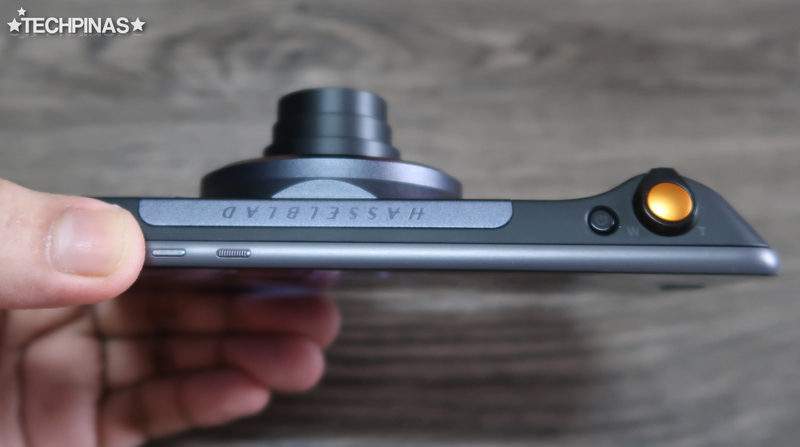 The protruding circular camera module at the back is an obvious 'impact point' for bumps and scratches - especially when you're not using any of the Moto Mods, which I'll talk more about in future entries - but I actually like this element as I believe it gives the phone more character. The tray for the Dual nanoSIM slots as well as the microSD card memory expansion slot is found on the top panel. Also, notice the thick yet well-placed antenna band right smack in the middle. 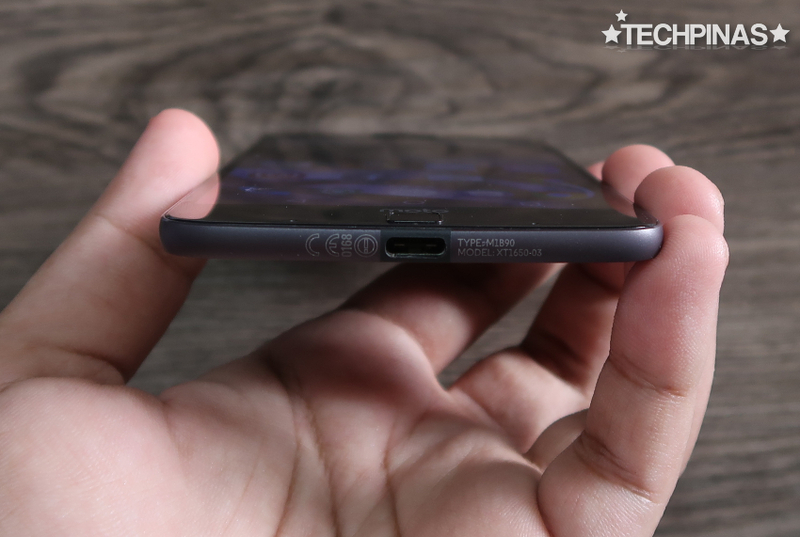 Being so thin, Moto Z lacks a 3.5mm combo jack. Nonetheless, you can plug in the adapter, which comes with free with the package, to the USB Type C port at the rear or use wireless earphones to listen to music on the go. Alright! Now, let's jump to specs. Moto Z flaunts a very clear and crisp 5.5-inch Quad HD AMOLED display that's a joy to look at regardless of the viewing angle. Whether you're just browsing photos or playing a specs-intensive 3D game, you will surely find the expensive enjoyable on this screen. Below the display, you'll find the square fingerprint scanner for quickly unlocking the interface with but a touch of a finger. I initially thought this was the home button but it wasn't the case. 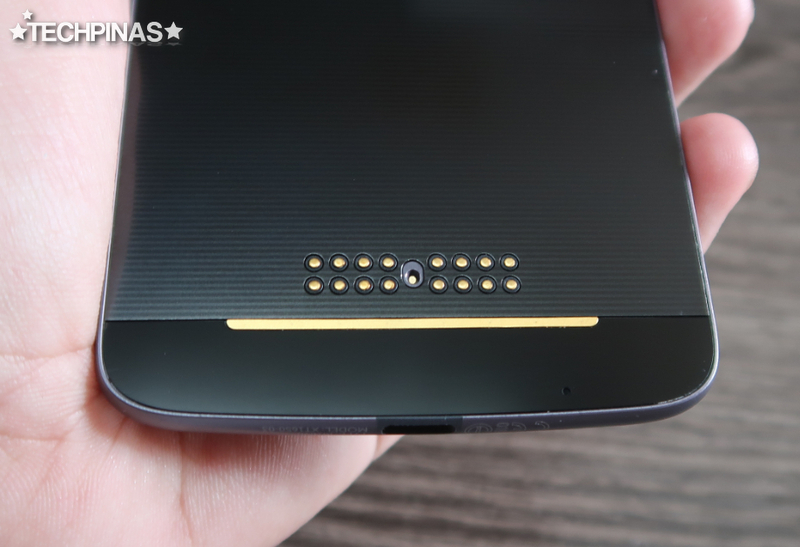 In fact, Moto Z has virtual navigation buttons as shown in the photo above. At the back, on the said circular module, you'll find the phone's 13 MegaPixel camera with f/1.8 aperture, laser autofocus, and Optical Image Stabilization. Trust me when I say that this shooter makes Moto Z one of the best cameraphones that you can purchase currently. Oh, and this rear cam can also shoot 4K 30fps clips, which is great for those who like documenting their travels and other activities via video. If you enjoy taking selfies, you'll definitely fall in love with this handset's 5 MegaPixel front cam with f/2.2 aperture, 1.4 µm pixel size, and wide-angle lens. It also comes with Soft LED flash, which you can use in torch mode to get bright selfies even in low to zero lighting conditions. Powered by Moto's own Beautification software, this front cam delivers selfies that are instantly ready for sharing on Facebook and Instagram. 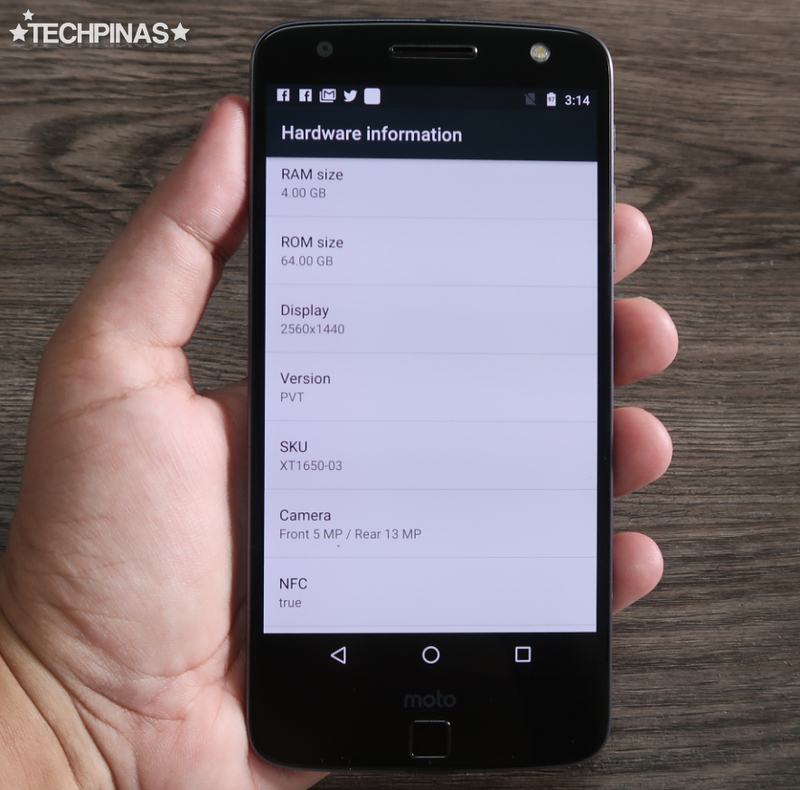 Inside, Moto Z runs its near-vanilla Andoid 7.0 Nougat operating system (following a firmware upgrade) with a beastly 64-Bit Quad Core 2.15 GHz Kryo and Adreno 530 GPU based Qualcomm MSM8996 Snapdragon 820 chipset, has 4GB of RAM for smooth multitasking, and comes with 64GB of ROM that can even be expanded using the dedicated microSD card slot supporting up to 256GB. This impressive set of innards allows this flagship-level smartphone to run multiple resource-demanding 3D games and apps at the same time, without annoying lags. 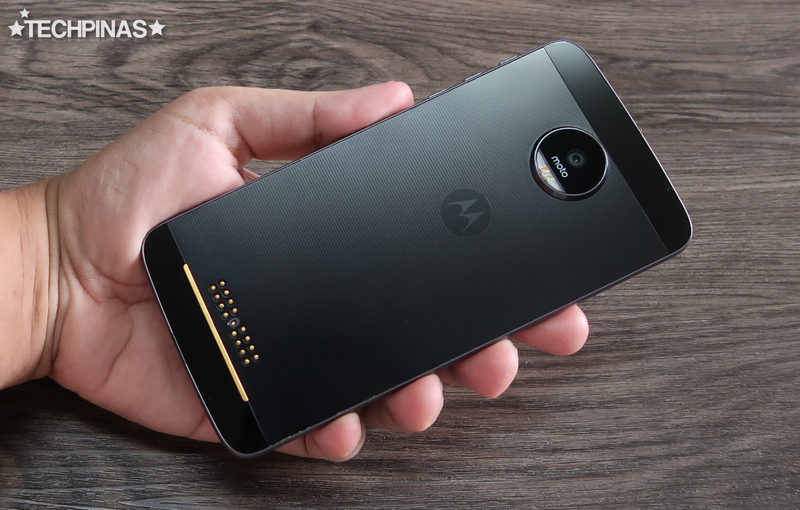 Moto Z is powered by a non-removable 2,600 mAh battery pack, which - I find - is capable of delivering whole day uptime with regular use. I kind of wish that the battery were bigger -- but then that would also make the device thicker; So there's that compromise. As many tech experts will tell you, the most innovative feature that the Moto Z has is its ability to expand functionality through modules. 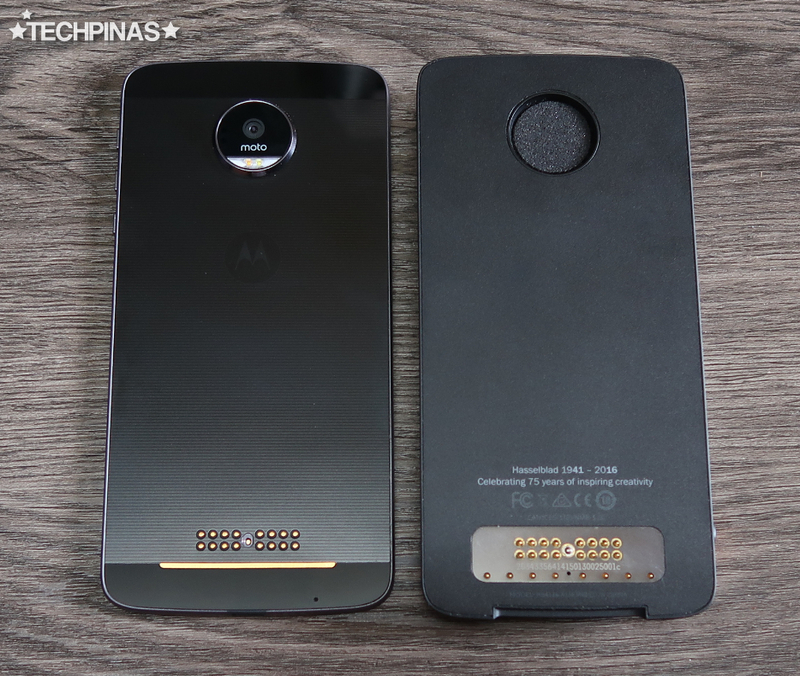 These modules - called Moto Mods - connect to the Moto Z magnetically and become part of the system through the exposed metallic knobs and plates located at the lower portion of the phone's back panel. The use of these exposed plates as well as the magnetic attachment represent probably the most convenient and most clever rendition of a modular smartphone set-up to date. Kudos to Team Moto for conceptualizing and actually crafting this. 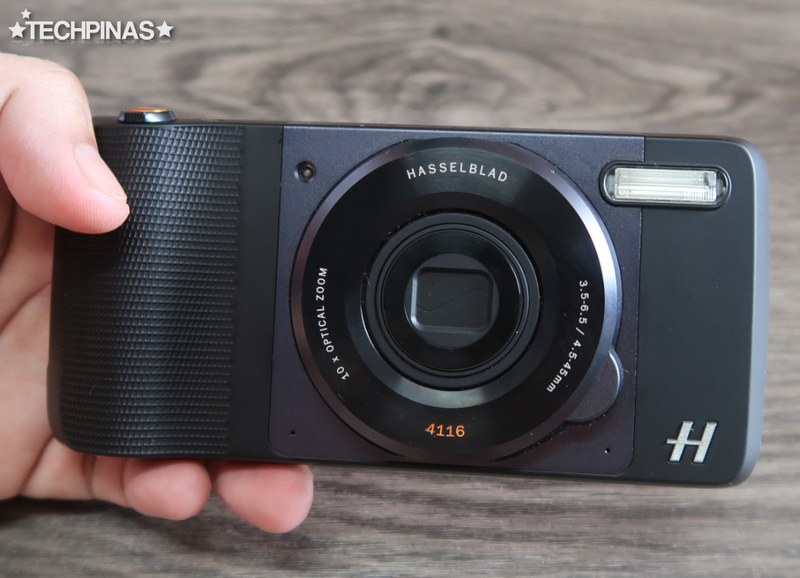 Currently, my favorite Moto Mod is the Hasselblad True Zoom, which gives Moto Z a whopping ten times optical lossless zooming capability both for snapping photos and recording videos! Really comes in handy when watching concerts and musicals. 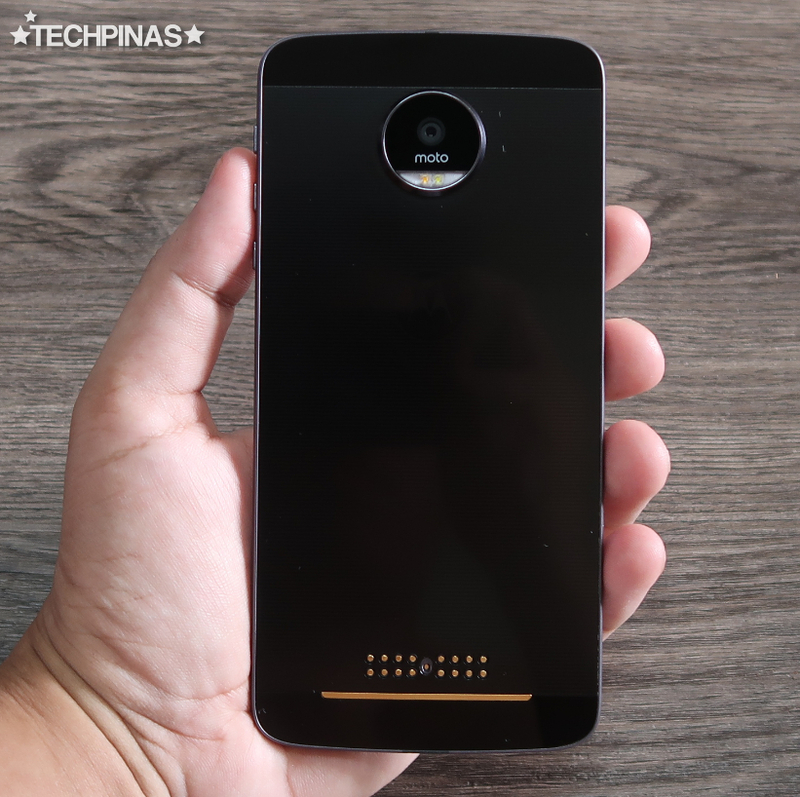 This Php 14,099 mod transforms the Moto Z into a full-fledged digital camera with its rubberized grip, shutter button, and Xenon flash. Alright! That's it for now. 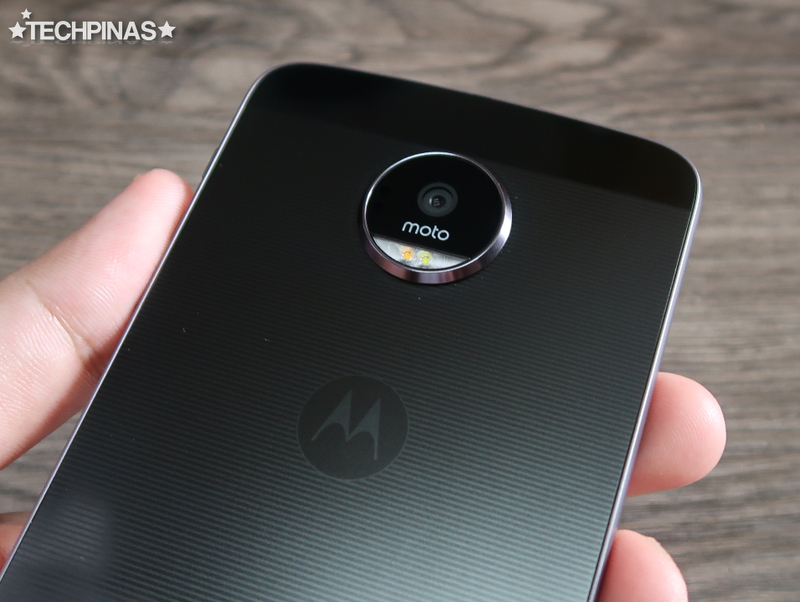 Again, stay tuned for more entries about Moto Z and Moto Mods. 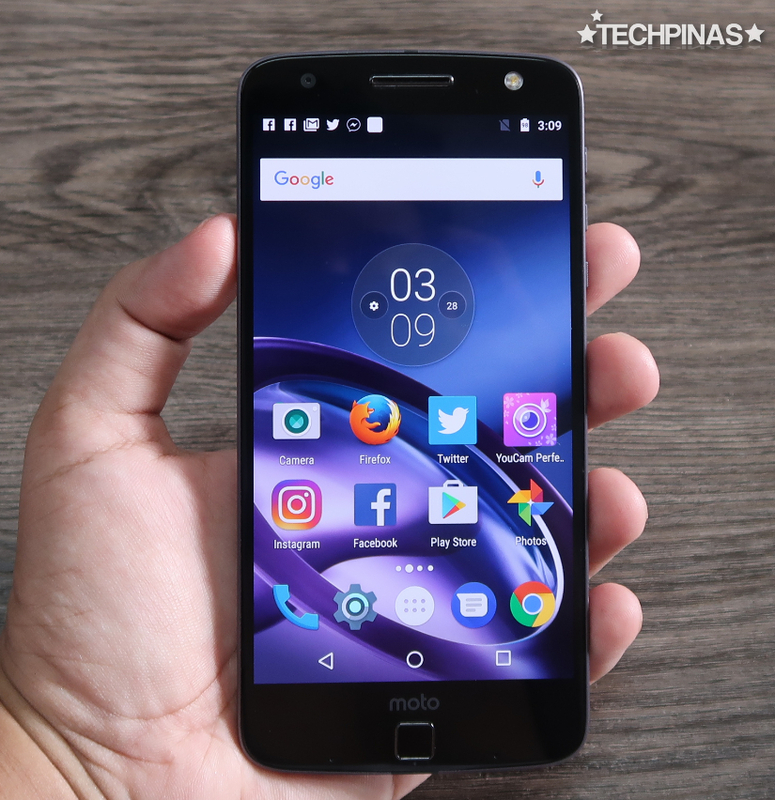 You can purchase this amazing smartphone for Php 33,999 at all Moto Concept Stores and authorized retail partners of the brand nationwide. The handset is available in a number of elegant colors, including Black with Gray accents, Black with Rose Gold accents, Black with Gold accents and White.